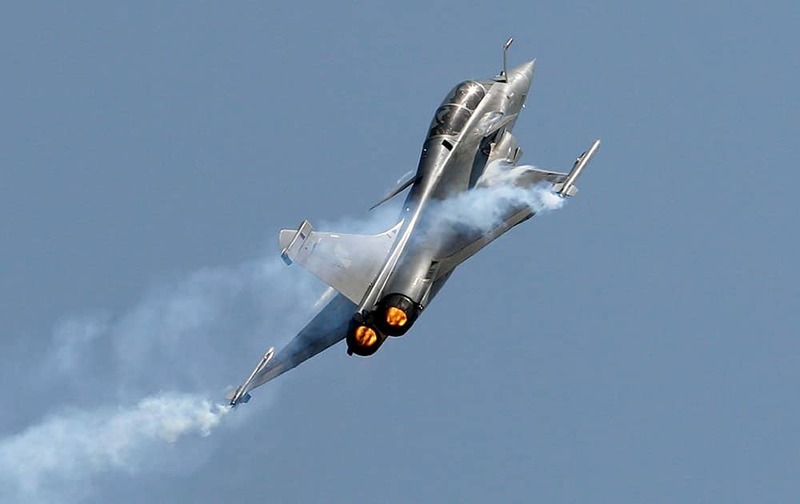 RAFALE, A FRENCH FIGHTER AIRCRAFT FLIES OVER STATIC DISPLAY AREA ON THE FINAL DAY OF AERO INDIA AIR SHOW AT YELAHANKA AIR BASE IN BANGALORE, INDIA. 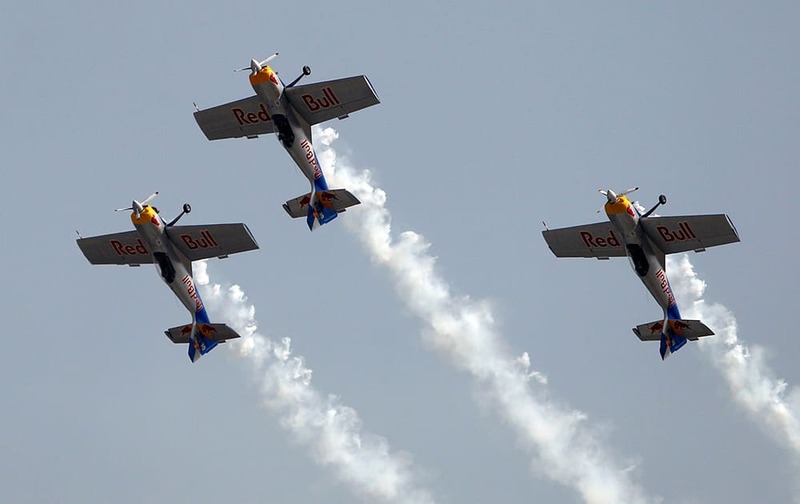 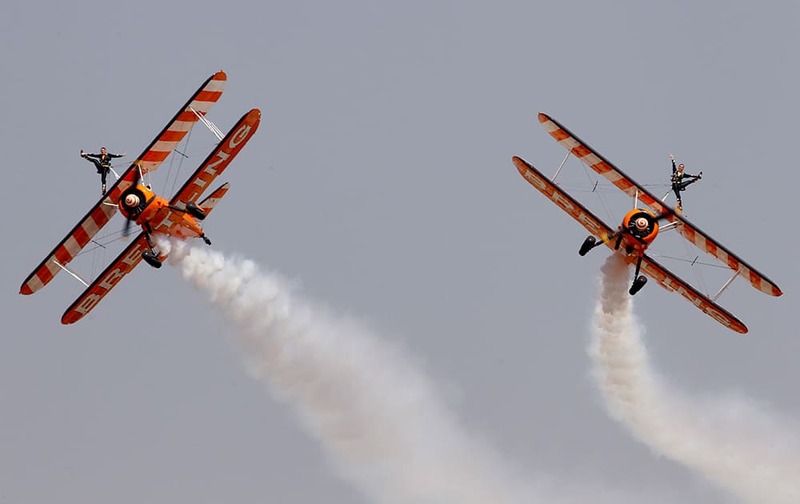 Red Bull's single-engine and single-seater aircrafts fly in a formation as they perform on the second day of Aero India 2015 at Yelahanka air base in Bangalore. 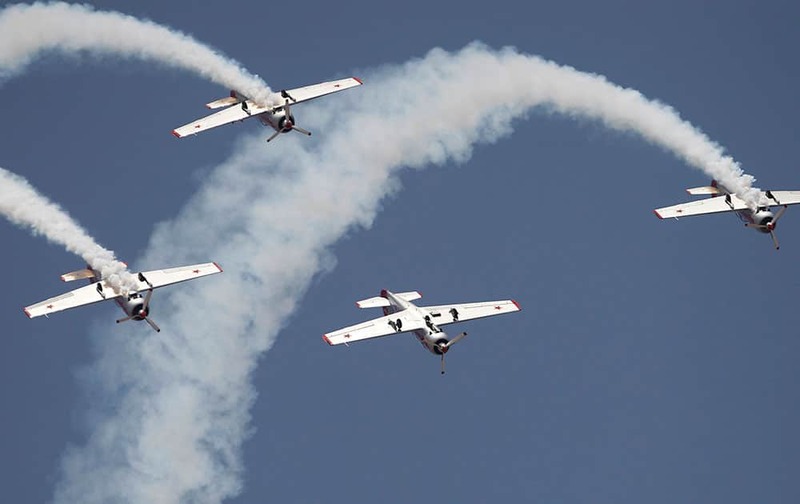 The Yakovlevs, a UK based aerobatic team flying Russian designed Yakovlev aircrafts, fly upside down on the second day of Aero India 2015 at Yelahanka air base in Bangalore. 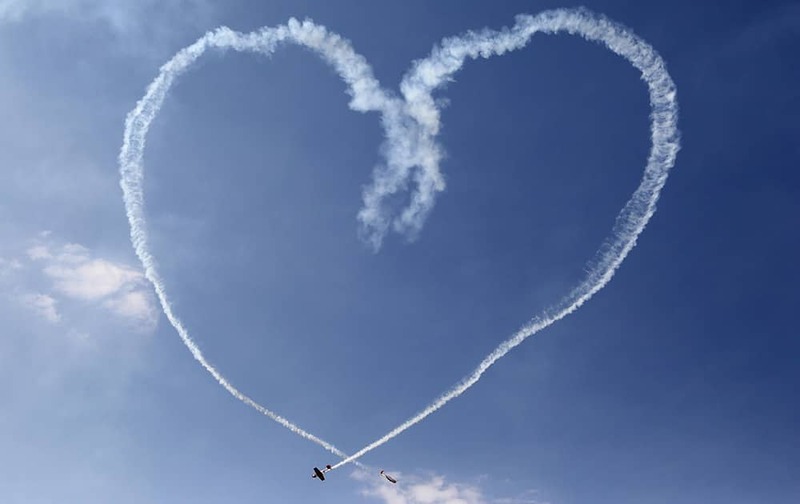 The Yakovlevs, a UK based aerobatic team flying Russian designed Yakovlev aircrafts, make a formation in the shape of a heart from a trail of smoke during the third day of Aero India 2015 at Yelahanka air base in Bangalore. 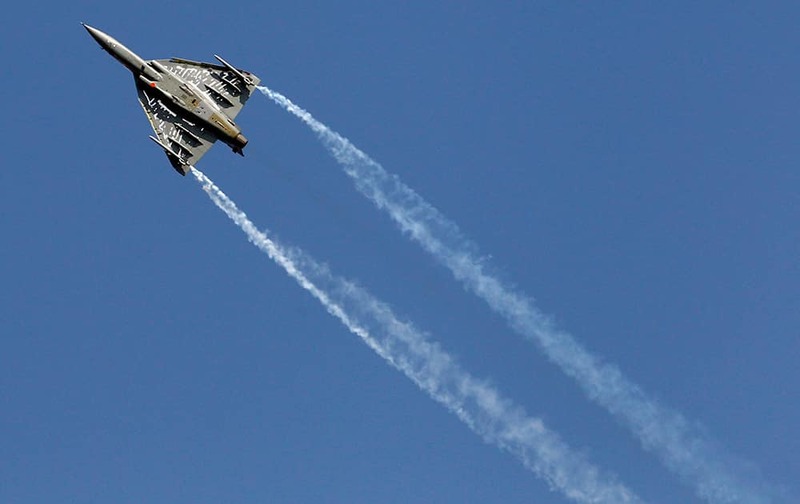 Tejas, an Indian Air Force light combat aircraft flies on the third day of Aero India 2015 at Yelahanka air base in Bangalore. 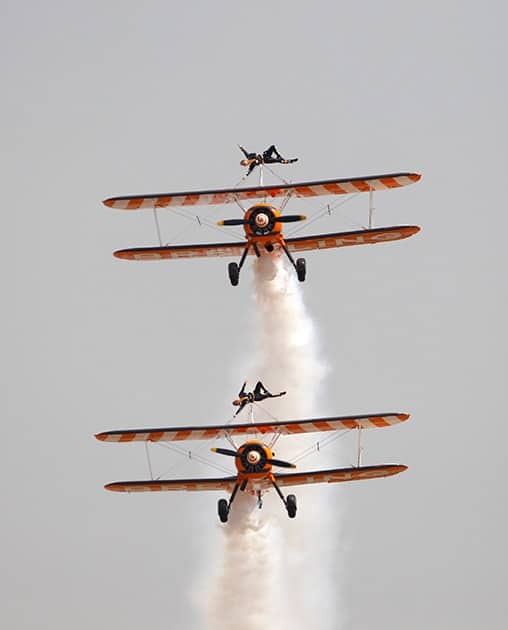 Members of the British aerobatics team Breitling Wingwalkers perform on the third day of Aero India 2015 at Yelahanka air base in Bangalore. 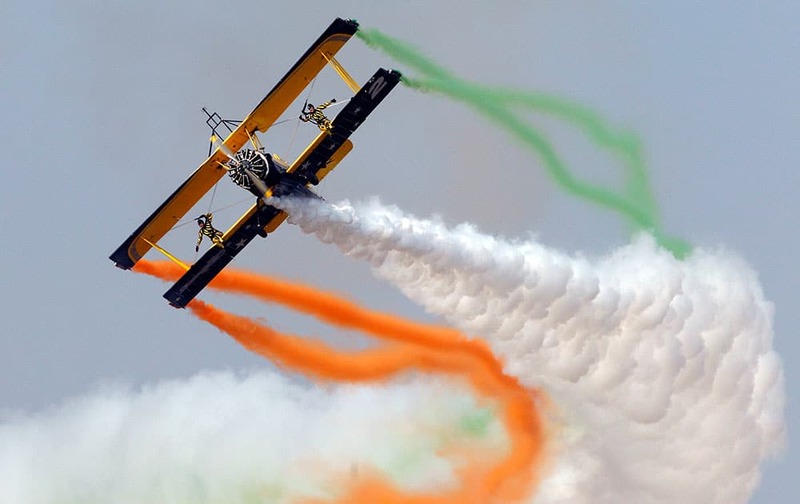 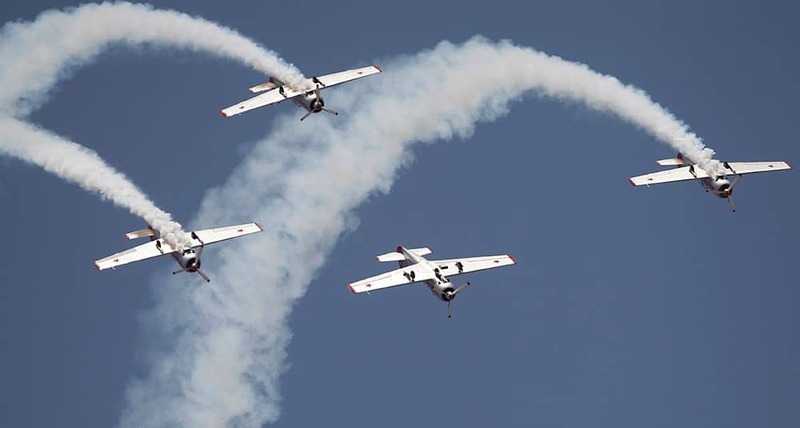 Swedens aerobatic display team Scandinavian Air Show performs during the inauguration of the AERO INDIA 2015 at Yelahanka Air Base in Bengaluru. 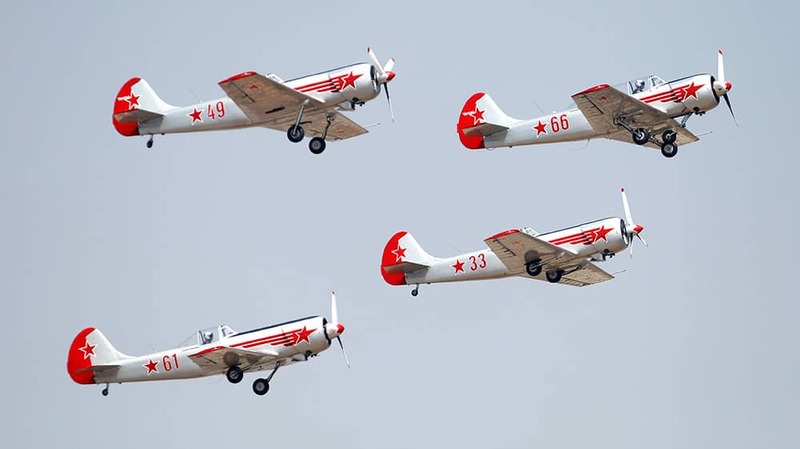 Russian aerobatic team Yakovlev fly in a formation on the second day of Aero India 2015 at Yelahanka air base in Bangalore. 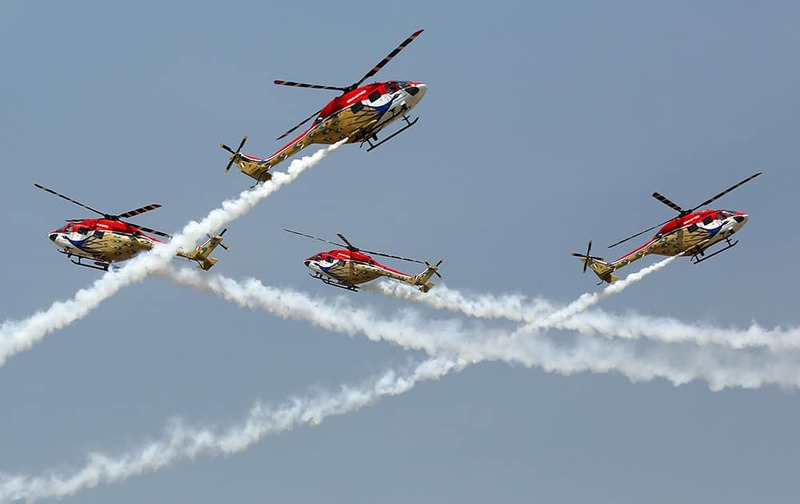 Indigenously manufactured Indian Air Force Dhruv helicopters perform aerobatic skills on the second day of Aero India 2015 at Yelahanka air base in Bangalore. 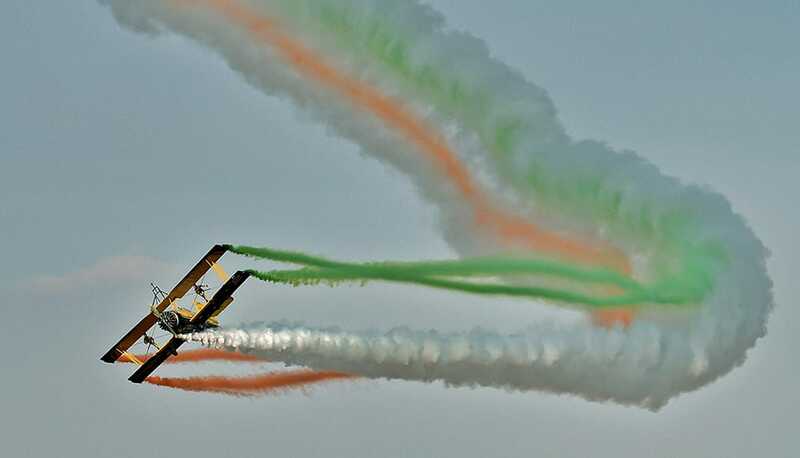 Russian aerobatic team Yakovlev fly upside down on the second day of Aero India 2015 at Yelahanka air base in Bangalore. 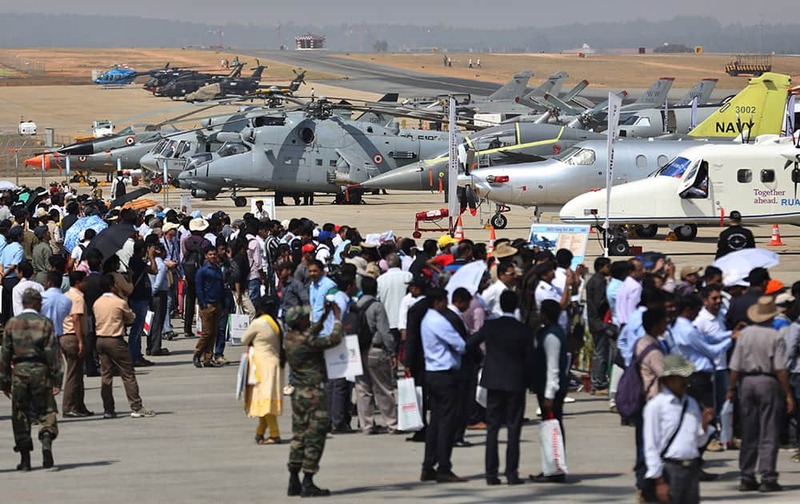 Visitors crowd the static aircraft display area on the second day of Aero India 2015 at Yelahanka air base in Bangalore. 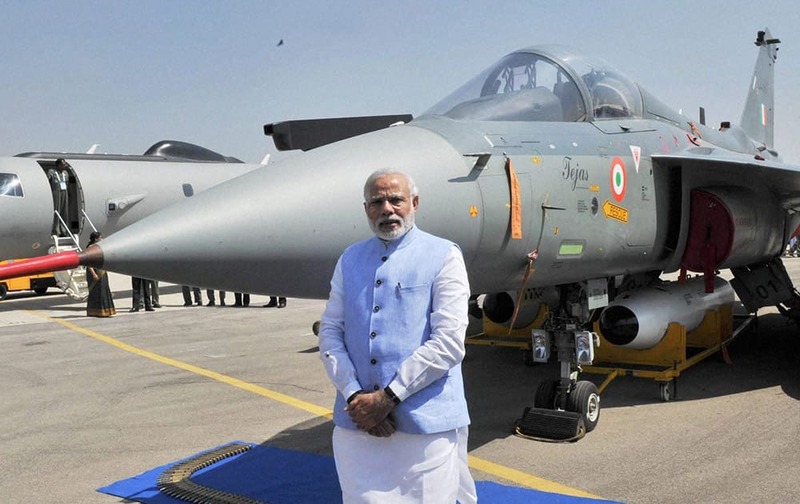 Prime Minister Narendra Modi poses for photographs during the inauguration of the Aero India 2015 event at Yelhanka Air Base in Bengaluru. 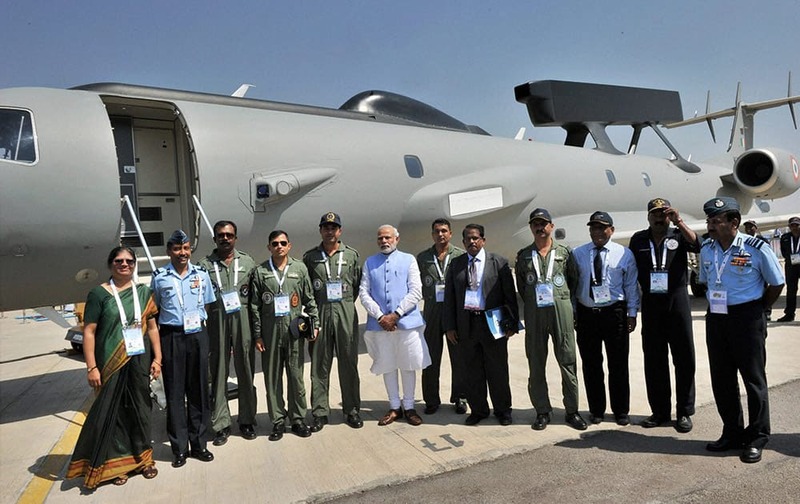 Prime Minister Narendra Modi poses for a group photograph during the inauguration of the Aero India 2015 event at Yelhanka Air Base in Bengaluru. 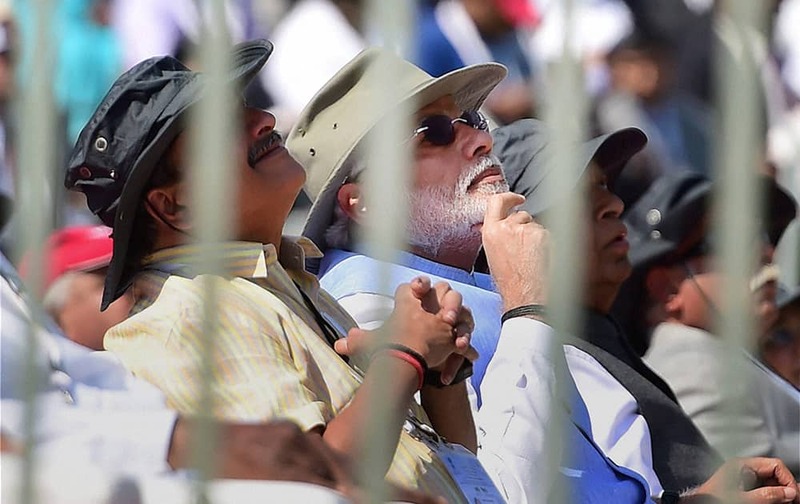 Prime Minister Narendra Modi with Defence Minister Manohar Parrikar and Karnataka Governor Vajubhai Rudabhai Vala watching the flying past display during the inauguration of the Aero India 2015, Asias Premier Air Show at Yelhanka Air Base in Bengaluru. 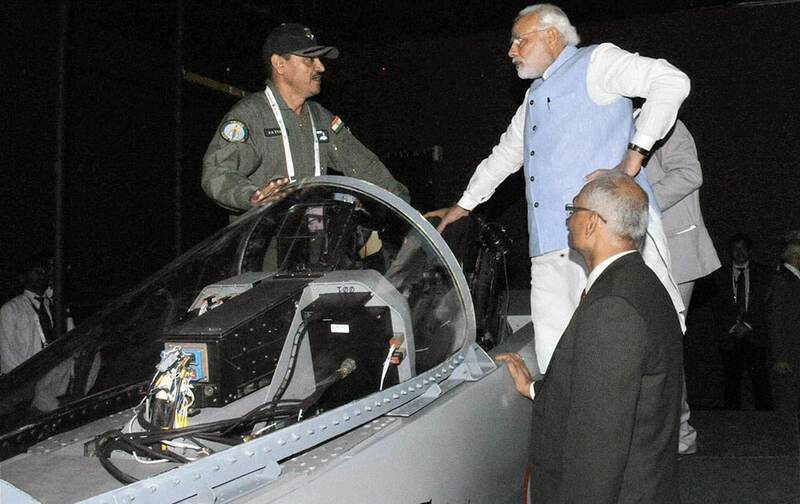 Prime Minister Narendra Modi during the Aero India 2015 event at Yelhanka Air Base in Bengaluru. 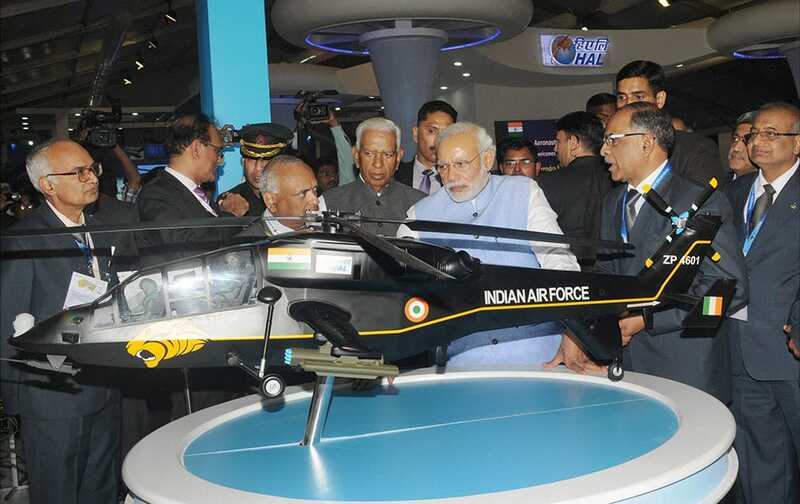 Prime Minister Narendra Modi visits a stall after the inauguration of the Aero India 2015 event at Yelhanka Air Base in Bengaluru. 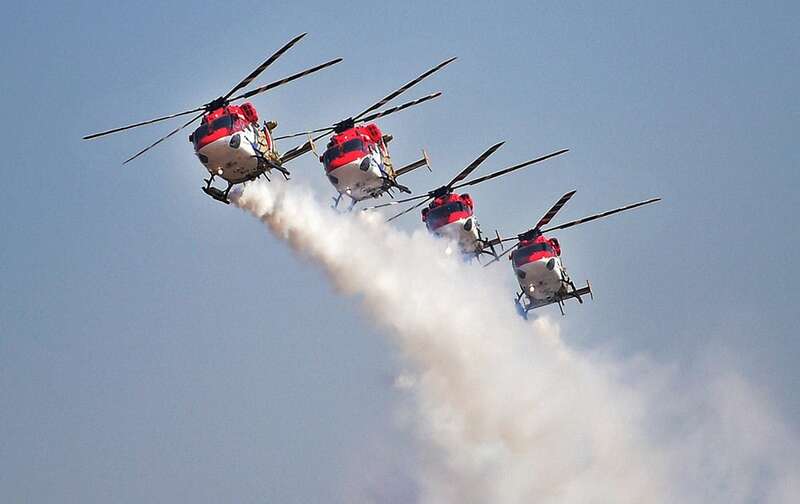 Indian Air Forces’ helicopter display teams’ 'Sarang' performs during the inauguration of the Aero India 2015 event at Yelhanka Air Base in Bengaluru. 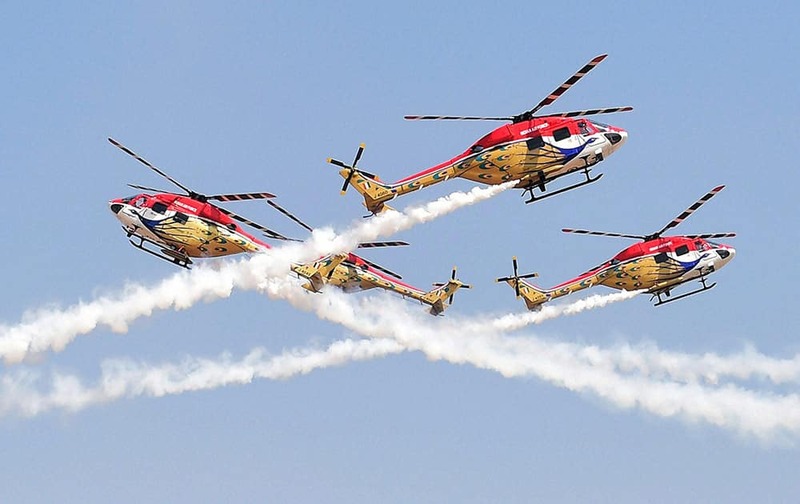 The Indian Air Forces' helicopter display teams' 'Sarang' performs during the inauguration of the Aero India 2015 event at Yelhanka Air Base in Bengaluru. 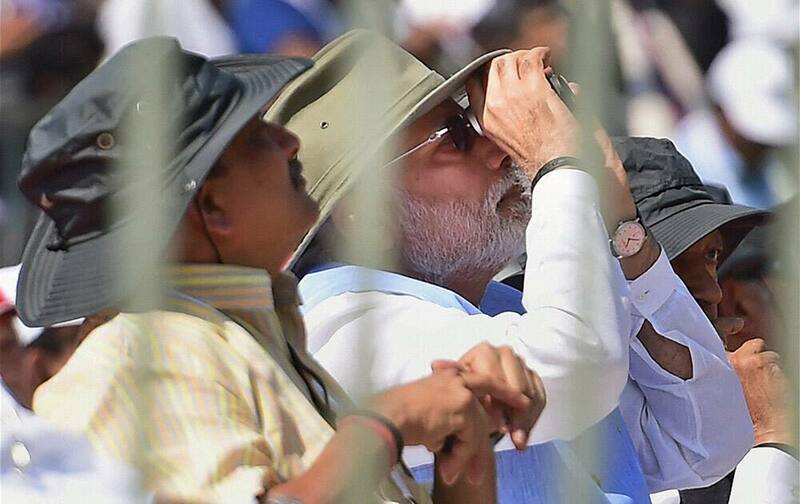 Prime Minister Narendra Modi and Defence Minister Manohar Parrikar watching the flying past display during the inauguration of the Aero India 2015, Asias Premier Air Show at Yelhanka Air Base in Bengaluru. 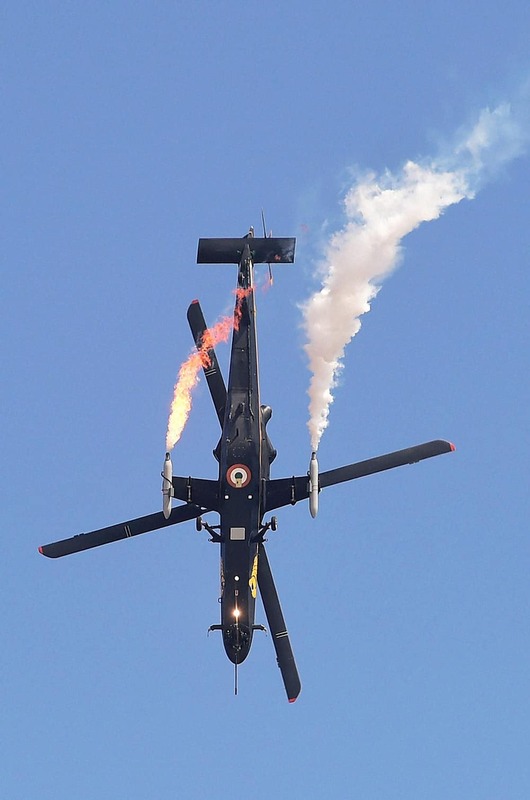 The Indian Air Forces’ light combat helicopter Rudra performs during the inauguration of the Aero India 2015 event at Yelhanka Air Base in Bengaluru. 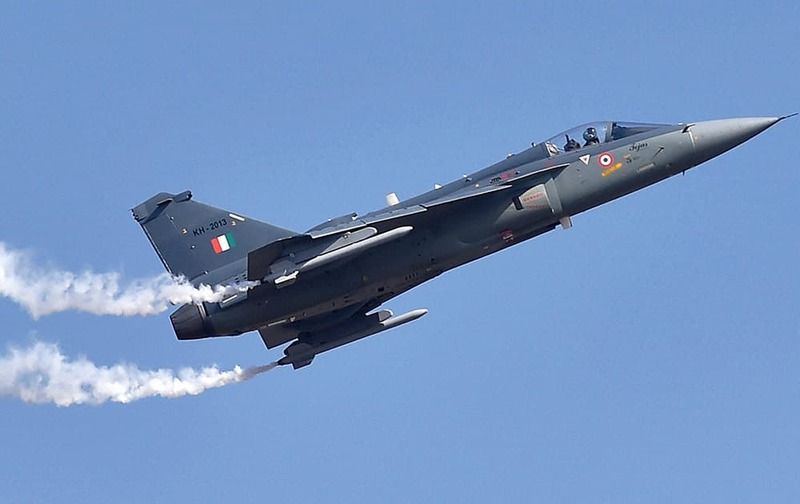 Light Combat Aircraft Tejas performs during the inauguration of the Aero India 2015 event at Yelhanka Air Base in Bengaluru. 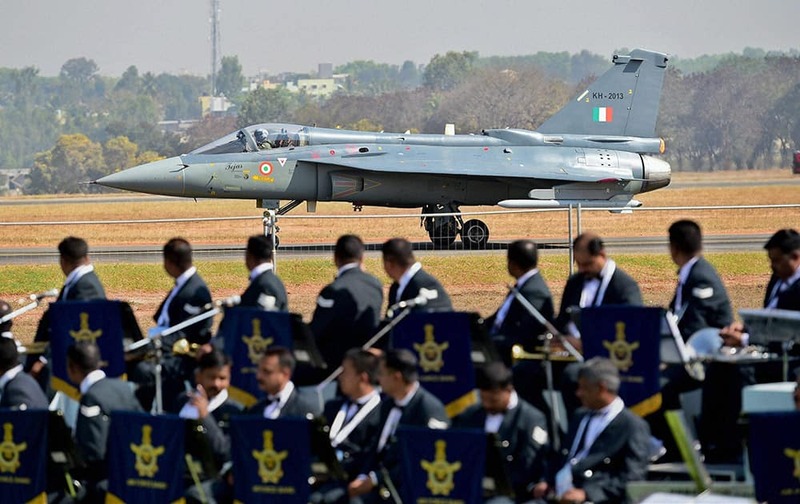 Light Combat Aircraft Tejas prepares to fly during the inauguration of the Aero India 2015 event at Yelhanka Air Base in Bengaluru. 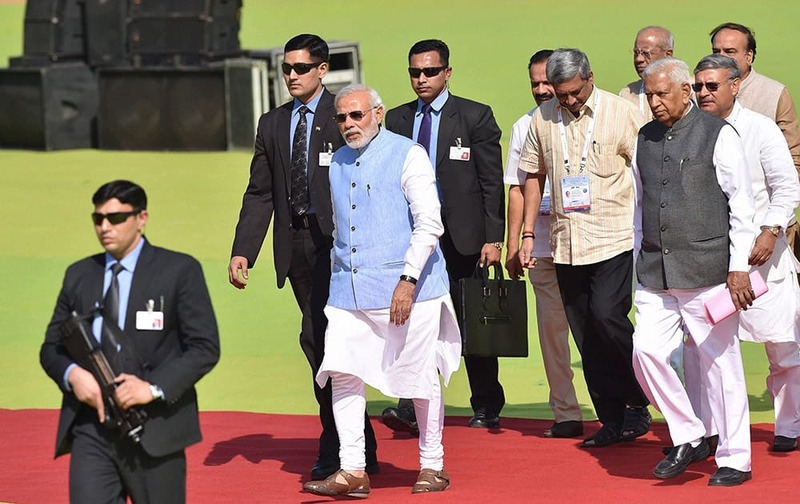 Prime Minister Narendra Modi with Defence Minister Manohar Parrikar and Karnataka Governor Vajubhai Vala arrives for the inauguration of the Aero India 2015 event at Yelhanka Air Base in Bengaluru. 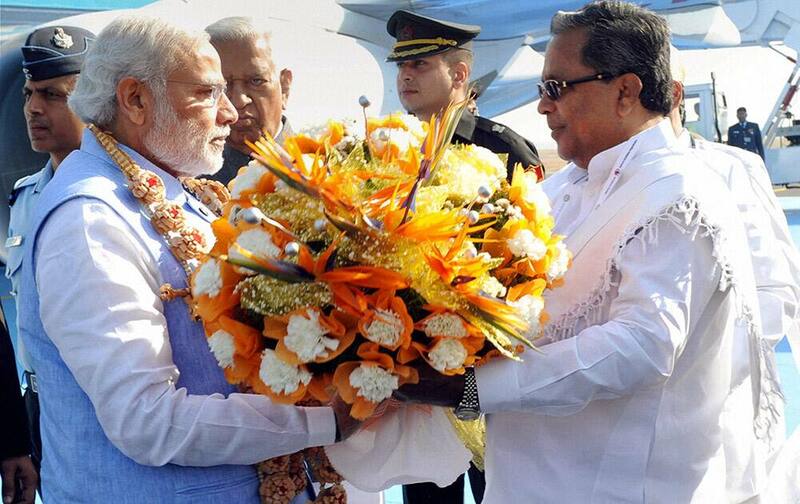 Prime Minister Narendra Modi being received by the Chief Minister of Karnataka Siddaramaiah on his arrival at the airport in Bengaluru.